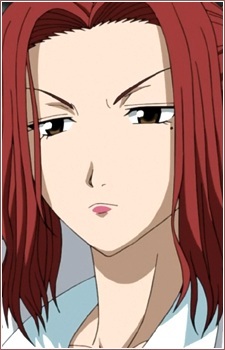 Originally Kunieda Aoi's second-in-command, Nene is far more aggressive than her permissive leader. Though she often openly disagrees with and occasionally disobeys Kunieda, she is still her faithful wingman, balking vociferously when Kunieda opts to leave the Red Tails and relinquish the mantle of leadership to her. She takes it nevertheless and soon proves to be worthy of it, gaining the confidence and trust of the Red Tails as their fourth leader. Her weapon of preference are chains, which she uses proficiently to gain an advantage against stronger men. As Kunieda, she is a second-year student. Beelzebub’s Ishiyama High School is home to a student body of delinquents, the absolute worst of the worst! Some of the most deadly include the main protagonist Oga Tatsumi, as well as the notorious Tohoshinki (TKKH). Let’s learn more about these bad boys below! Get ready to rumble!